I went along to a Truffle Festival lunch hosted at IBIS last Sunday to seek culinary inspiration from local Masterchef contestant Rishi Desai. Rishi introduced us to the flavour of truffles by asking the group to compare a ‘truffled’ omelette with a regular one. It was an interesting test and quick way to gain knowledge of the subtleties of the truffle. 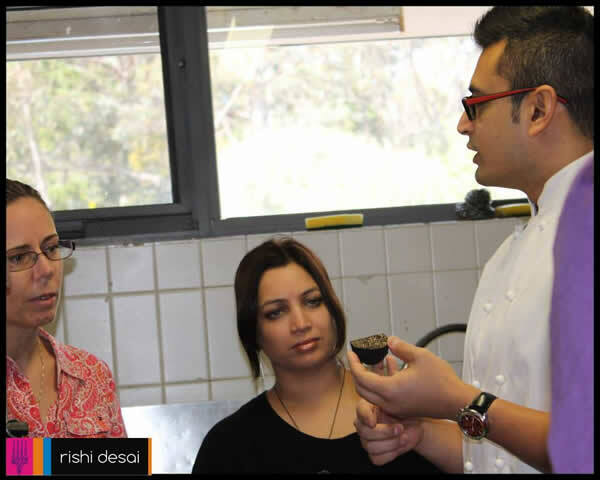 We then sat back and enjoyed as Rishi prepared a range of dishes showcasing the truffle. The menu included crab and black truffle pakoras, spiced chicken kebabs with truffle yogurt, truffle paneer kofta with shahi sauce and semolina halwa with fresh blueberries and shaved black truffle. All of the food was fantastic. Strong and subtle flavours mixing to play with the palate. 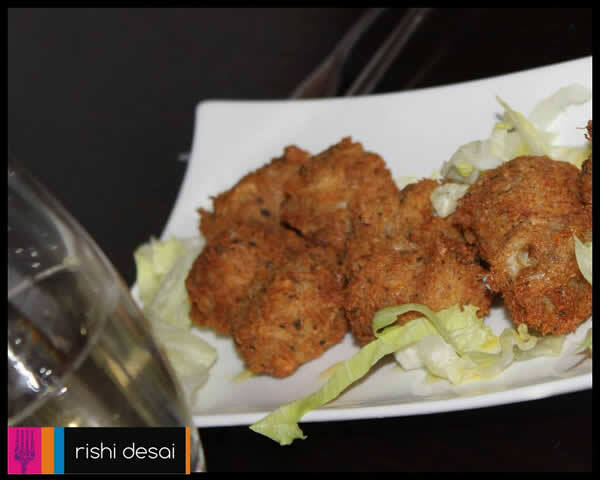 The crab and black truffle pakoras were crispy on the outside with a sweet burst of crab on the inside. 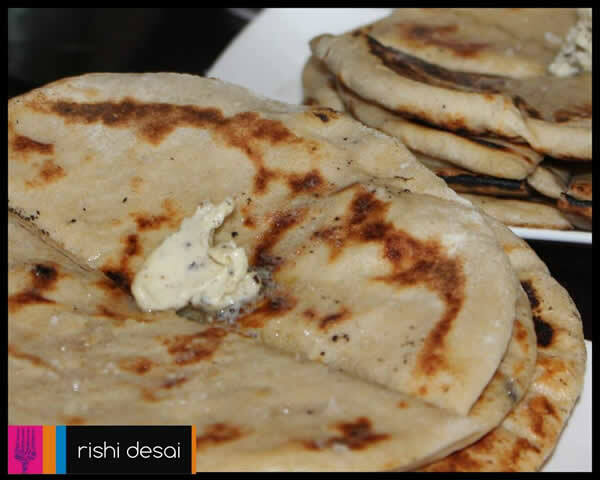 The kebabs with truffle yogurt were served with truffle naan bread, drizzled with truffle butter. The chicken melted in the mouth, with a subtle hint of spice. For me though, the king of dishes was the kofta which was full of flavour – creamy and rich – fabulous mopped up with extra naan bread. 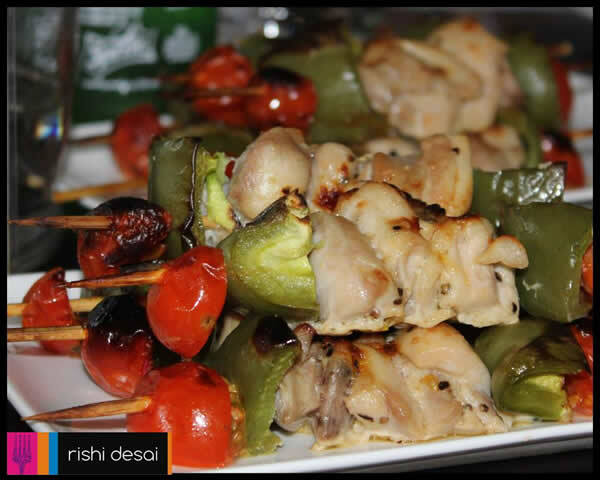 Rishi has kindly agreed to share his recipe, so you can have a crack at creating it at home. To make koftas, grate the paneer in a bowl and add shaved truffles, salt and breadcrumbs. Lightly beat eggs and add to the paneer mixture and combine to form a firm dough. Using hands make small balls of dough and then shape them into small batons. Heat oil for deep frying and deep fry these batons until golden brown on the outside. Drain on paper towel and set aside. To make the sauce, melt butter with truffle oil in a saucepan. Add all the raw spices including cardamon, cinnamon, black peppercorns and bay leaf. Slice green chilli in half and add to the butter and sauté for 30 seconds. Meanwhile, blend the milk and cashews into a purée and add to the saucepan while constantly stirring. Add cream, sugar, saffron, grated nutmeg and salt and simmer on low heat for 5-7 minutes while occasionally stirring to ensure the sauce does not stick to the bottom of the saucepan. Optionally shave a bit more truffle in the sauce to enhance the flavour. Before serving, heat the sauce add the koftas in the sauce and bring to boil. Serve hot with naan bread or rice and shaved truffle.